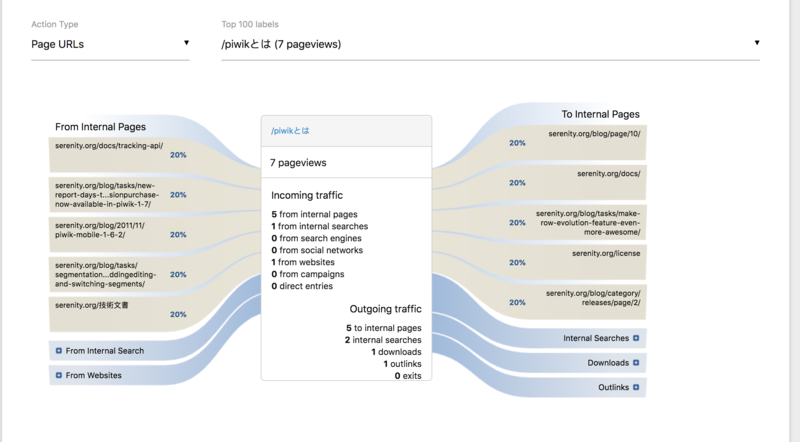 As you can maybe see in the first commit I tried to first make it work as a report with a visualization and including related report etc but couldn't get it to work. There were various challenges. So made it a widget instead. Was still quite tricky to get it to work and is a bit messy since it was all hard adjusted to be a popover. There is no search in the label field for now. It's only our regular select. Should do for now I'd say and at some point need to add support for autocomplete or so. I didn't manage to center it but I actually think it's fine like this anyway. Feel free to give it a try. It's so hard to do much there I think cause the transitions JS is quite complex and built for popup etc. 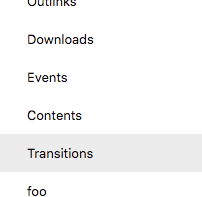 had actually no idea it was clickable... i think the JS is not able to render 2 transition reports on the same page or it's trying to alter something. It should more or less work now. 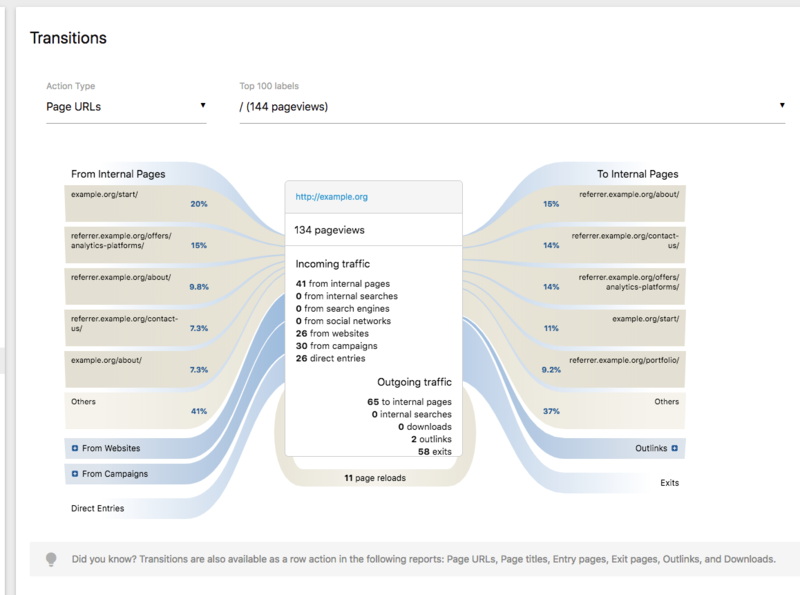 If there's still a problem I will need to disable the onclick functionality in this report. Tests should be fixed now. 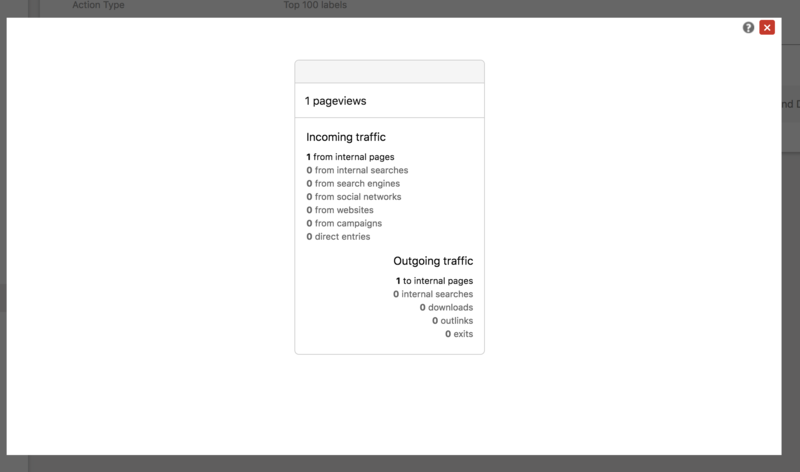 Guess the page title shouldn't display in the dashboard. Think it might have something to do w/ the width of an element. Looks really good overall, it's nice to know more users will discover this feature. In the footer message eg. 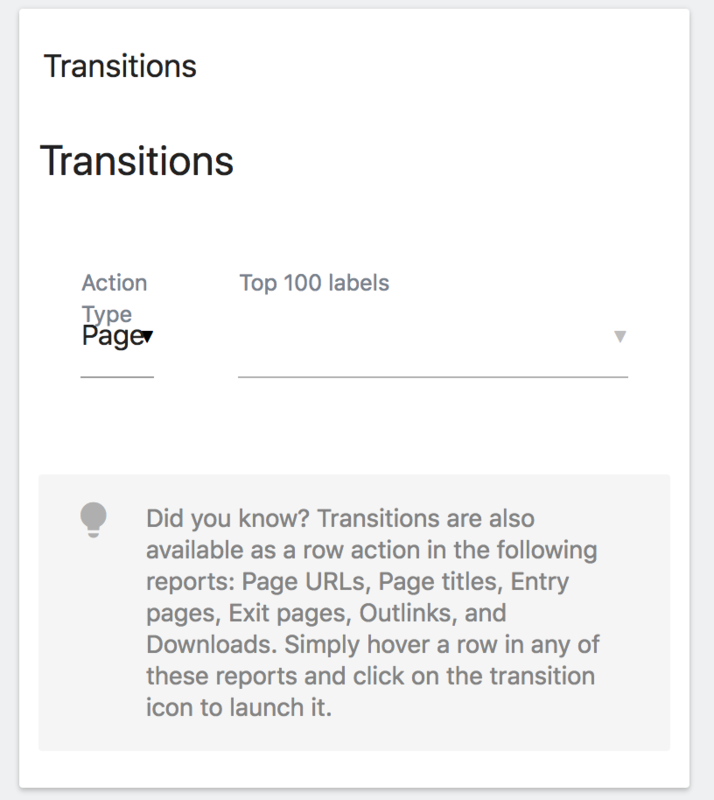 Simply hover a row in any of these reports and click on the transition icon to launch it. could maybe add the Transitions icon in the text itself.